Star Media and Marketing Ltd hosted the Asian Beauty Pageant UK- one of the largest, impartial and most influential beauty pageants in the UK. Since its inception, the team has been dedicated to promoting Asian cultural heritage, international cultural awareness and community pride. The event will provide a platform where outstanding young individuals male and female will have the opportunity to display their artistic skills, intelligence, confidence, cultural pride and leadership in order to further advance themselves in society, as well as raising the profile and working alongside the official charity Football for Peace. The event will also help in community cohesion, through its cultural exchange between the UK and relevant south Asian countries. The competition which was borne in July 2015 which set out to find contestants across the UK who performed in the grand finale at The Venue, Edgbaston, Birmingham on Friday 13th May 2016. The show was a high -profile event with many A-list celebrity judges, International actress Mandy Takhar, British Asian Actress Jasmin Walia, Abhay Kumar CEO of Bombay Talkies, Kashif Saddiqi Founder of Football for Peace, Miss Birmingham Maria Gardner and Bishamber 1st British Asian Plus size model. 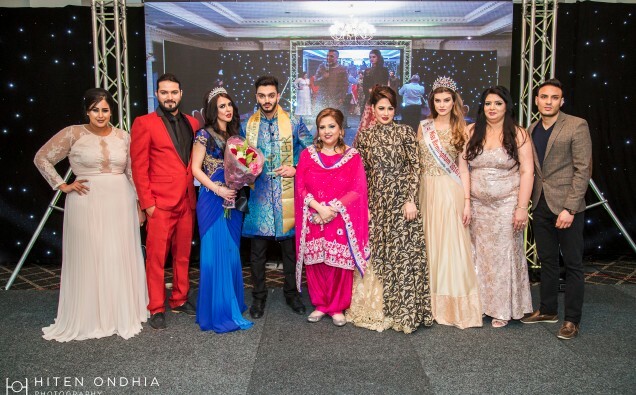 The evening hosted top performances by Sheeba Khan and Rameet Kaur and VIP’s attending witnessing the crowning of the winners, 22 year old Sundeep Singh of London who was winner of Mr Asian Beauty Pageant 2016 and 26 year old Harpreet Kaur of London who was crowned Miss Asian Beauty Pageant 2016. The winners will go on to be brand ambassadors for The Asian Beauty Pageant, a role in a Film with Bombay Talkies, signed to a modelling agency Modelling World, the face of a high profiled brand and Football for Peace. Directors of the pageant husband and wife team, Shiv and Nav, who have come together through a shared vision to offer diversity and multiculturalism “We aimed to deliver and excel the Asian Beauty Pageant UK brand to an international level. The evening no doubt demonstrated our commitment in hosting this exceptional event. At the same time we would like to congratulate all finalists who took part and of course our winners Sundeep and Harpreet, we look forward to working with them as our official brand ambassadors’.